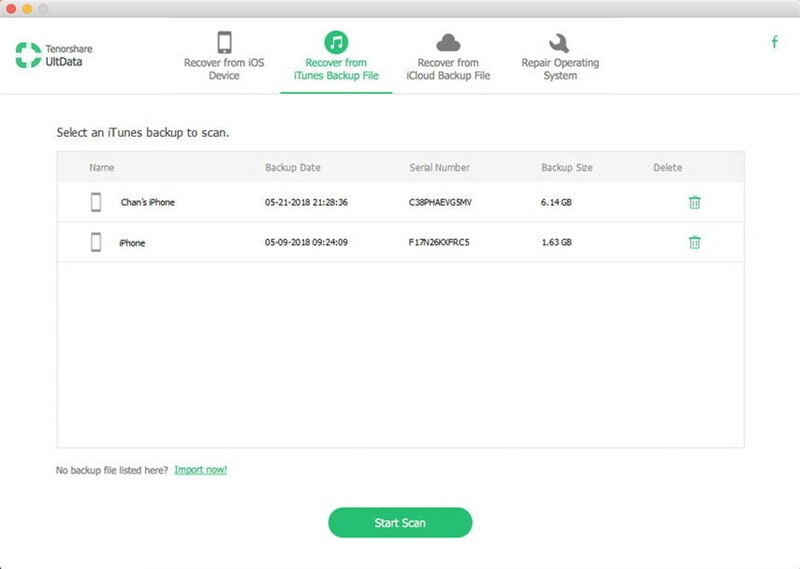 It is necessary to backup regularly if you are using an iOS device, but until now the usual mode of backup and restore has been iTunes and iCloud. Sadly, users are looking for more, they are asking for the advanced options the other apps are providing. Like the selective data restoration or getting a preview before the users actually restore the files. These are simple demands but these official iOS apps haven't been updated for a decade and they are using the old methods to restore files without any modern features. So, a good backup extractor is needed to extract that specific file you need from a backup file. 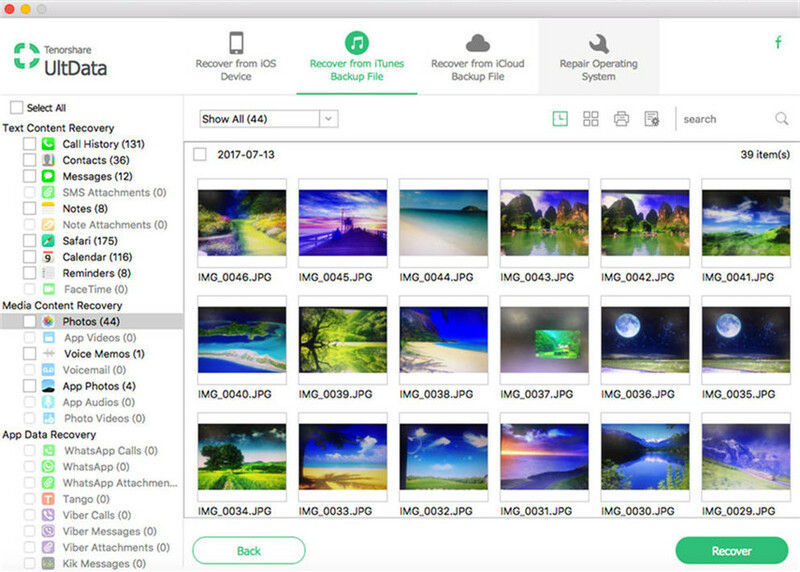 One of the best iPhone backup extractor is mentioned below in this article. If you are looking for good data extractor software then no need to look anymore, we have a great one for you, it is called Tenorshare UltData. It is an all-in-one software that features multiple modes for various tasks and a lot of advanced options. You will be surprised to know that this is the world's first software that was able to break the limitation of iCloud and extract files from it. It is convenient, fast and capable of recovering files directly from the device, from iTunes and iCloud backup as well. It has specific modes dedicated to these purposes. Tenorshare UltData is one of the greatest iPhone backup extractor available and as you have guessed it has many recognizable features. 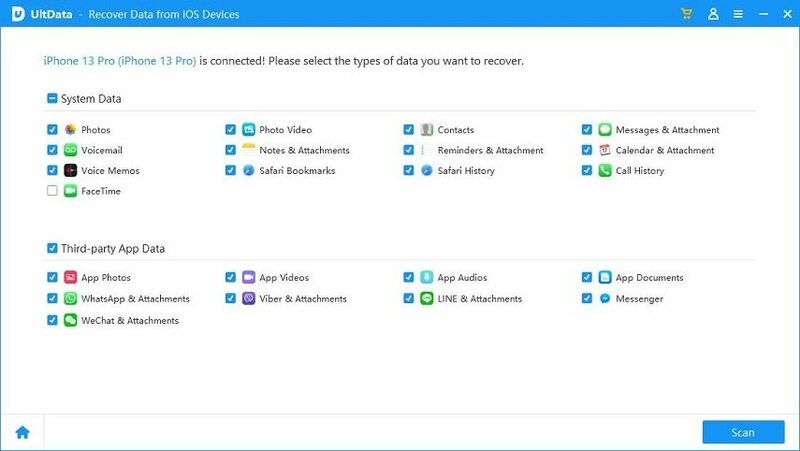 It can directly recover lost files from any iOS device and even supports the latest iOS 12. Apple will always tell you backup regularly but if you are using this software it is completely unnecessary. You can do it anytime accordingly. It supports the selective restoration of files. You can recover and extract from both iTunes and iCloud backups and directly from the device itself. You will also get a preview of the files before they get restored. Step 1: First get UltData on your computer then make sure that your iPhone and computer are connected together with a USB cable. Step 2: After that run UltData on your computer and select the mode called "Recover from iOS Device". Step 3: Now, select the files that you want to scan and finally, you have to click "Start Scan" to proceed. Step 4: After that scan, you will get a preview of all the scanned files then just choose the files you need and click "Recover" to restore them. As one of the best backup extractor, Tenorshare UltData is able to recover files from iTunes backup selectively; even the iTunes app itself is not capable of such action. Step 1: Launch the software and Make sure that your iPhone and computer are connected properly with a data cable. Step 2: On the main interface of the software select "Recover from iTunes Backup File" mode. Step 3: Once, you select this mode every iTunes backup files will be available to you. Then, you just have to find the one you need among them and select it. Step 4: Click on "Start Scan". Step 5: After it is finished you will get a preview. Step 6: Lastly, choose the files you want and click "Recover" and choose a destination. Another feature of Tenorshare UltData is that it is able to extract iPhone Data from backup of iCloud as well. This software has become very popular because of this particular feature as Tenorshare UltData is the first one capable of such a feat. Here's how you can use this backup extractor to extract files from iCloud backup, selectively. Step 1: Connect your iPhone to your computer properly with a data cable. Step 2: Then, launch Tenorshare UltData and select "Recover from iCloud Backup File". Step 3: Next, you have to use your Apple ID to log-in to your iCloud account. Step 6: In the next window you have to specify the file types you want and click 'Next". Step 7: Those specified files will start downloading from iCloud. Once, downloaded UltData will start scanning them. Step 8: After that, you will get a preview and then select the files you need and click "Recover" to restore them. Step 1: Connect your malfunctioning device and then run the software on your computer. Step 2: Then, choose the mode called "Repair Operating System" from the interface. Step 3: Then click on "Fix Now" to proceed. Step 4: Now, the software will need you to download the firmware for this procedure, go to "Browse" and find a destination for the file and click "Download". Step 5: You have to wait for a while for it to download; when the download is completed it will start repairing the system automatically. During the procedure do not disconnect the device or it may get bricked. As you have already realized that Tenorshare UltData is rightfully considered as one of the best data extractor software of this generation. It comes equipped with various advanced options and modes. The article above gives you a glimpse of that. It is fast, effective and takes care of any iOS data recovery needs beautifully. Highly recommended!